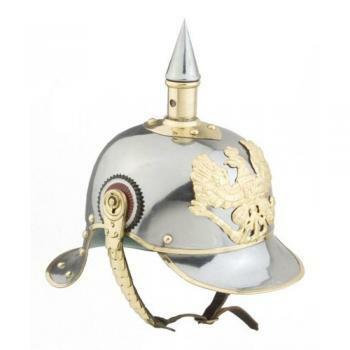 WW1 German Picklehaupe Helmet [16-250] - $162.00 : Metalcraft by Blair - military gifts and memoribilia. This Imperial German spiked Helmet was standard ceremonial issue for the German cavalry from Franco-Prussian War to the end of WWl. It features a steel bowel with a lobster tail neck plate.